Take one of the most-used rooms in the house and design it exactly to your tastes and needs. Browse through our collection of the best designs for bespoke kitchens and you’ll be ready to choose something stunning and designed to last in no time. Create a contemporary look by fusing natural woods such as oak and materials like stone and granite with pattern-free doors. There are a lot of requests for this style by those who use the kitchen as an entertaining and socialising space in addition to its usual function therefore the addition of a wine fridge and breakfast bar works extremely well, and curved doors provide a focal point and soften the overall look. Take your kitchen out of the town and opt for a cosy and warm space that’s filled with characterful features. If your existing space has ceiling beams and original floor tiles, it could be crying out to be transformed into a county kitchen complete with a range cooker. Seek out a sturdy reclaimed butcher’s block as a centrepiece, insert a butler’s sink and combine it all with a rustic wooden dining table and chairs to create a gorgeous country atmosphere. Strip a potentially busy place right back to the essentials with a minimalistic aesthetic. Minimalism means that everything has a purpose which is a dream for those who lean towards organisation and clever bespoke storage solutions: think drawer storage and cupboard pull-outs, flush fitted appliances and a boiling water tap for practicality. As for colour scheme, selecting white as a dominant palette for your hand-painted cabinetry means you can’t go too far wrong. These have stood the test of time with good reason. 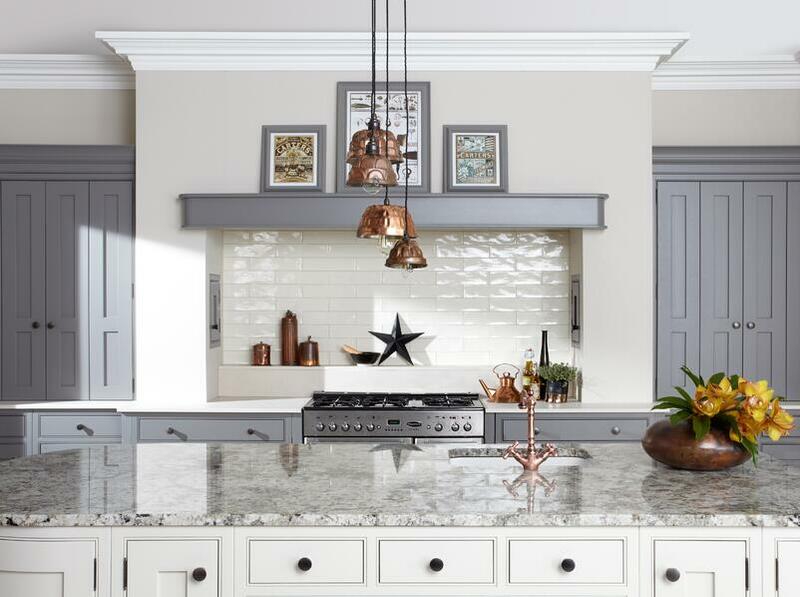 Take inspiration from the Victorians with cream or white painted cabinetry mixed with oak worktops, a free-standing glassware or crockery dresser, ornate cornicing and cathedral arched doors. Or perhaps you prefer the style of the Georgian period with its combination of blue and grey hues, marble or granite worktops and bronze cup handles. Both these classic themes would bring an elegance and timeless design to your kitchen. This simplistic but warm look is all about blending form and utility but it doesn’t have to be all white; bright colours can add cheerfulness to the space as it would traditionally distract from the gloomy and cold outdoors. For a woodland feel, go for contrasting woods to create a contemporary effect, opt for a wall of subway tiles (these fit perfectly in a Scandinavian setting) to bring a modern twist in and be sure to incorporate plenty of clean straight lines. 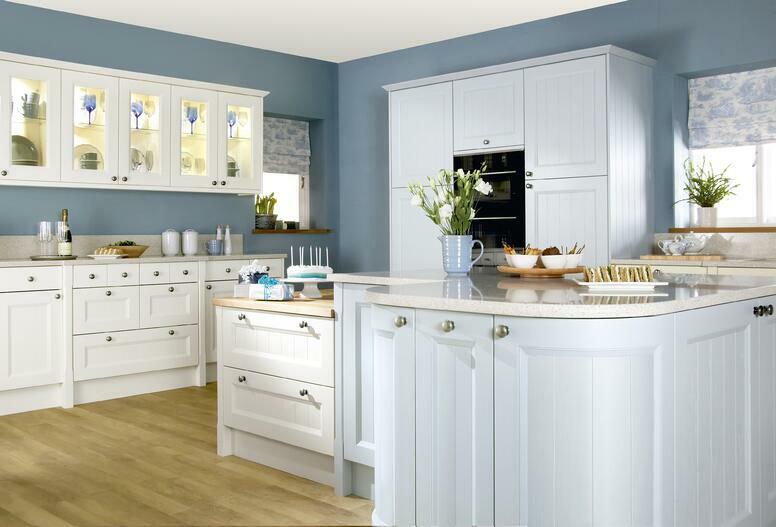 Now you’re ready to get started with your own bespoke kitchen, why not browse our kitchen collection online? As trusted kitchen fitters based in Doncaster, we work from our base in West Yorkshire in kitchens all over the country.